Live in Falls Church? You can partake in free food, drinks and fun the night of May 12th! No, it’s not a wedding, bar mitzvah or sweet sixteen. Even better—it’s the grand opening celebration for West Broad Apartments, and you’re invited! Already convinced? You can RSVP here. Otherwise, read on to see what awaits you at this festive spring gathering in Falls Church, VA.
We don’t know what it is, but food always tastes better when it’s free. Beer, too. That’s why we’ve invited Mad Fox Brewing Company, Dogwood Tavern, Ireland’s Four Provinces, and Hot ‘n’ Juicy Crawfish to cater this event! These local businesses are excited to treat Falls Church residents to a night of superb food and drink. Everything will be complimentary, so sample to your heart’s content! And when you’re sufficiently loose from drinks, or just ready to break out of your food coma, feel free to bust some moves. While this is by no means a formal dance, Justin Trawick & the Common Good will be serenading the event with live music. 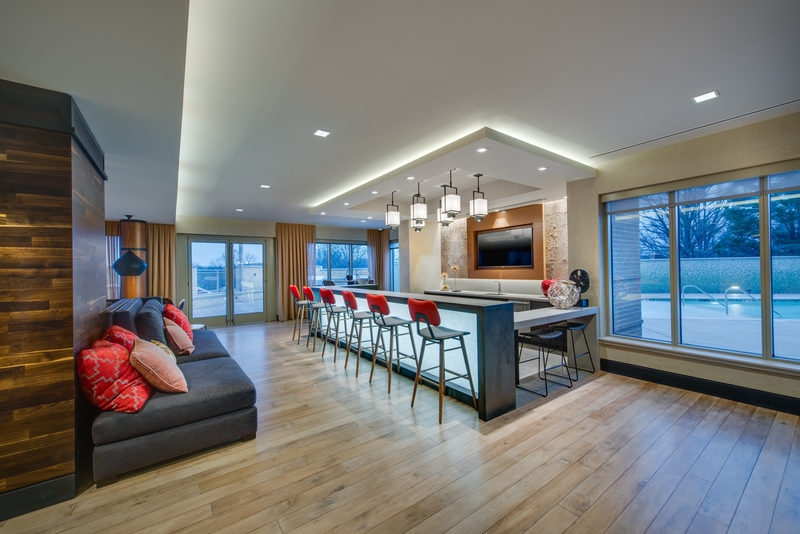 If you’ve yet to take a look at West Broad Apartments, you’re in for a treat. While mingling with your Falls Church friends and sampling sublime local fare, you’ll have the opportunity to recline in our hammocks or congregate around our outdoor fire pits. If you’re keen on competition, you can even swing by our game room for a round of billiards or two. Full property tours are also available during our grand opening, so you can get a feel for West Broad’s residences inside and out. If you’d rather just hang out during the event, you can always schedule a tour for another day! So why not join 300 of your fellow Falls Churchians for a night of food and fun? We love seeing our old friends, but we’re always looking to make more. If you can’t come out, but would still like to get a feel for West Broad, our floor plans are a good place to start. This event has limited space available, so RSVP soon if you’d like to attend! The dress code is ‘smart casual,’ so come looking slick but ready-for-fun. And don’t worry about finding a pesky parking place—complimentary valet will be provided to all attendees. We, for one, can’t wait for our grand opening celebration. Join us on May 12th at West Broad Apartments—just make sure to RSVP first!